YouTube Milestones Reporting that Gummibär Officially Crossed 5 Billion Views Across Content - Gummybear International Inc.
YouTube Milestones has reported that Gummybear International, the YouTube creators behind the popular singing and dancing gummy bear Gummibär, have acquired over 5 billion views across all Gummibär video content, including third-party video content. 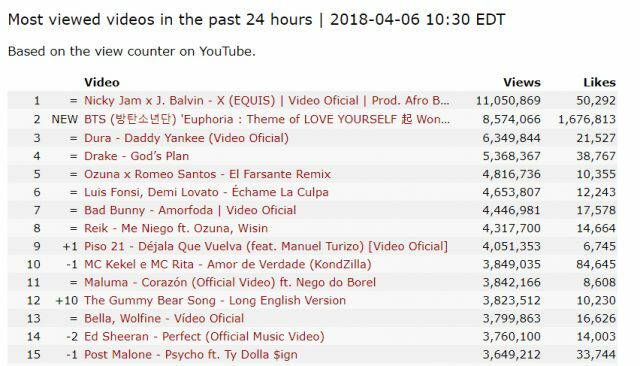 Within the past 24 hours of April 6th, 2018 at 10:30 Eastern time, the original posting of “I Am A Gummy Bear (The Gummy Bear Song)” became the 12th most viewed YouTube video on YouTube. Reported on a YouTube chart by Kworb.com, “The Gummy Bear Song” sits above popular Top 40 artists Ed Sheeran, Post Malone and Ty Dolla $ign. However, it is important to note that this metric does not include channel views garnered by official licensed Gummybear International YouTube channel partners Gummy Bear Show Mania, Gummy Bear Radio, and Krazy Gummy. Originally estimated at 5 billion views, Gummybear International has actually achieved a total of 5.5 billion views across all Gummibär YouTube content. Gummybear International is currently promoting daily uploads of brand new Brazilian music video content, Brazil being their second most successful market worldwide. The daily upload schedule also includes brand new Spanish content. Each video is a brand new language version of a beloved Gummibär song. 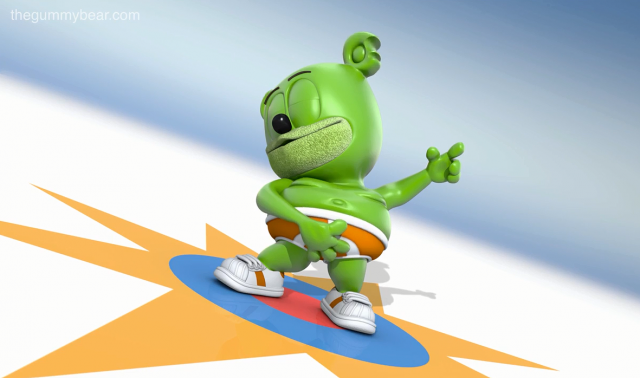 Gummybear International recently acquired brand new licensing deals for merchandising in North America and the UK, and will look to partner with Indian animation company Toonz Animation to premiere the second season of Gummibär and Friends: The Gummy Bear Show later this year.